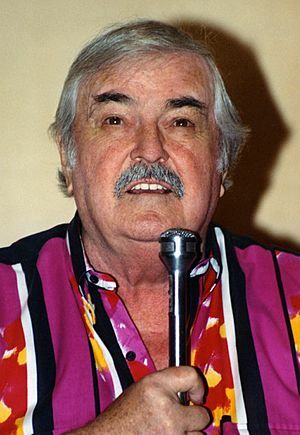 James Montgomery Doohan March 3, 1920 – July 20, 2005) was a Canadian actor and voice actor best known for his role as Montgomery "Scotty" Scott in the television and film series Star Trek. Doohan's characterization of the Scottish Chief Engineer of the Starship Enterprise was one of the most recognizable elements in the Star Trek franchise, and inspired many fans to pursue careers in engineering and other technical fields. He also made contributions behind the scenes, such as the initial development of the Klingon and Vulcan languages. Prior to Star Trek, Doohan served in the Canadian military with the 14th Field Artillery Regiment of the 3rd Canadian Infantry Division, as a pilot. He saw combat in Europe during World War II, including the D-Day invasion of Normandy, in which he was wounded by gunfire. After the war he had extensive experience performing in radio and television, which led to his role as Scotty. Following the cancellation of the original Star Trek series, Doohan had limited success in finding other roles; he returned to play the character in the animated and film continuations of the series, and made frequent appearances at Star Trek conventions. Doohan was born in Vancouver, British Columbia, Canada, the youngest of four children of Sarah Frances (née Montgomery) and William Patrick Doohan, who both emigrated from Bangor, County Down, Northern Ireland. Doohan's father reportedly invented an early form of high-octane gasoline in 1923. Doohan's paternal grandfather, Thomas Doohan, was Head Constable in the Royal Irish Constabulary. The family moved from Vancouver to Sarnia, Ontario. Doohan attended high school at the Sarnia Collegiate Institute and Technical School (SCITS), where he excelled in mathematics and science. He enrolled in the 102nd Royal Canadian Army Cadet Corps in 1938. At the beginning of the Second World War, Doohan joined the Royal Canadian Artillery, he was commissioned a lieutenant . He was sent to England in 1940 for training. He first saw combat landing at Juno Beach on D-Day. Doohan led his men to higher ground through a field of anti-tank mines, where they took defensive positions for the night. Crossing between command posts at 11:30 that night, Doohan was hit by six rounds fired from a Bren Gun by a nervous Canadian sentry: four in his leg, one in the chest, and one through his right middle finger. The bullet to his chest was stopped by a silver cigarette case given to him by his brother. His right middle finger had to be amputated, something he would conceal on-screen during most of his career as an actor. After the war, Doohan moved to London, Ontario for further technical education. After hearing a radio drama that he knew he could do better, he recorded his voice at the local radio station, and learned about a drama school in Toronto. There he won a two-year scholarship to the Neighborhood Playhouse in New York City. In 1946, he had several roles for CBC radio, starting January 12. For several years, he shuttled between Toronto and New York as work demanded. He estimated he performed in over 4,000 radio programs and 450 television programs during this period, and earned a reputation for versatility. In the mid-1950s, he appeared as forest ranger Timber Tom in the Canadian version of Howdy Doody. Coincidentally, fellow Star Trek cast member William Shatner appeared simultaneously as Ranger Bill in the American version. Doohan and Shatner both appeared on the 1950s Canadian science fiction series Space Command. Doohan also appeared in several episodes of Hawkeye and the Last of the Mohicans in 1957-58. Doohan developed a talent for accents as a child. Auditioning for the role of chief engineer of the USS Enterprise, Doohan did several different accents. 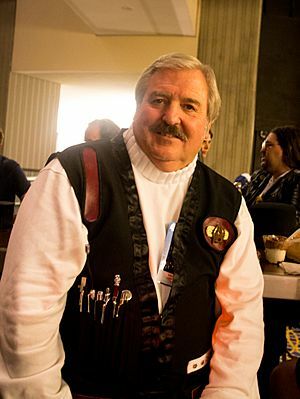 Producer Gene Roddenberry asked which he preferred, and Doohan replied, "If you want an engineer, in my experience the best engineers are Scotsmen." He chose the name "Montgomery Scott" after his grandfather. 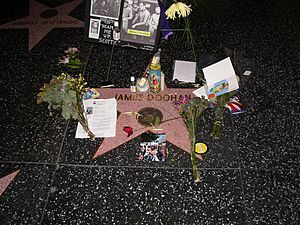 Doohan was quoted as saying, "Scotty is ninety-nine percent James Doohan and one percent accent", he also provided voices for many of the inanimate characters in the show. Doohan returned to the role of Scotty in the early 1970s for Star Trek: The Animated Series. He also voiced most guest male roles and around 50 other roles, voicing as many as seven different characters in a single episode. He rejoined the entire regular cast of Star Trek for the feature film Star Trek: The Motion Picture (1979), for which he also devised the Vulcan and Klingon language dialogue. He continued in the role of Scotty for the sequels. In 1992, he guest-starred in the Star Trek: The Next Generation episode "Relics", playing an elderly Scotty reminiscing about his time on the Enterprise. He and Walter Koenig appeared briefly with William Shatner in Star Trek: Generations. Many fans told Doohan over the years that it was he who inspired them to choose engineering as a profession. Astronaut Neil Armstrong, an engineer before he participated in NASA's Apollo program, personally told Doohan on stage at Doohan's last public appearance in 2004, "From one old engineer to another, thanks, mate." On July 20, 2005, at 5:30 in the morning, Doohan died at his home in Redmond, Washington due to complications of pulmonary fibrosis, which was believed to be from exposure to noxious substances during World War II. A portion of his ashes, ¼ ounce (7 grams), was scheduled for a memorial flight to space. The ashes were launched on a Falcon 1 rocket, on August 3, 2008, into what was intended to be a low Earth orbit; however, the rocket failed two minutes after launch. The rest of Doohan's ashes were scattered over Puget Sound in Washington. On May 22, 2012, a small urn containing some of Doohan's remains in ash form was flown into space aboard the Falcon 9 rocket as part of COTS Demo Flight 2. James Doohan Facts for Kids. Kiddle Encyclopedia.